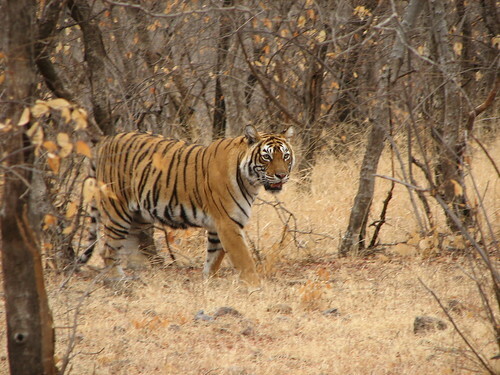 This week’s foto friday and my entry to today’s photo friday wildlife challenge is this picture of a tiger at Ranthambore National Park in India. We visited this amazing park in 2006 and were extremely lucky to see this tiger walk right in front of our jeep, about 5 meters away from us. This entry was posted on Friday, May 8th, 2009 at 6:45 am CET and is filed under Nature, Travel	with tags . You can follow any responses to this entry through the RSS 2.0 feed. You can leave a response, or trackback from your own site.